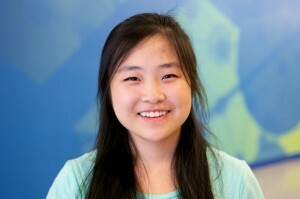 Xin Yi is a rising senior attending Inglemoor High School in Kenmore, WA. Since childhood, she has known she wanted to pursue a career in science, specifically medicine. Throughout the years, she has accumulated experiences that have further accentuated her desire to help others. When not occupied with the work of a Full IB curriculum, she can be found running, volunteering at the local hospital, coding, singing, listening to music or watching a movie. At school, Xin Yi is heavily involved in DECA, Future Business Leaders of America (FBLA) and Science Olympiad, often recruiting new members and has received local, state, and national level awards. She is also a Cross Country captain, an officer in Key Club, attending the annual Pacific Northwest District Convention (PNW DCON) each year, and previously, a Class Office officer. She is also the president of her local Hugs for Ghana chapter and is working with her team to organize a 5K run. In addition, she is also a student ambassador and summer intern for Washington Business Week. She is also working towards starting a nonprofit dedicated to accessible education. Xin Yi was attracted to the high school internship at the Institute for Systems Biology because it was a chance to work in a professional lab setting and conduct experiments over the summer. She also valued the Baliga Lab’s emphasis on education and collaboration as well as its focus on environmental systems. She spends her time working with Halobacterium salinarum in the lab to find affordable alternatives to its growth media ingredients for teachers and those pursuing a DIY approach to biology. She also works on researching for the aquaponics (Project Feed 1010) campaign and uses her free time while interning to film and take photos for the intern video. Check out her article on aquaponics under the “Aquaponics Systems” tab under “Projects.” In the future, Xin Yi hopes to continue working in scientific research and aspires to become an allergist. To contact Xin Yi Chen directly, please email her at xinyichen516@gmail.com. If you are a potential intern, she is more than willing to answer any questions about interning at ISB. To learn more about her work, please visit her LinkedIn here.